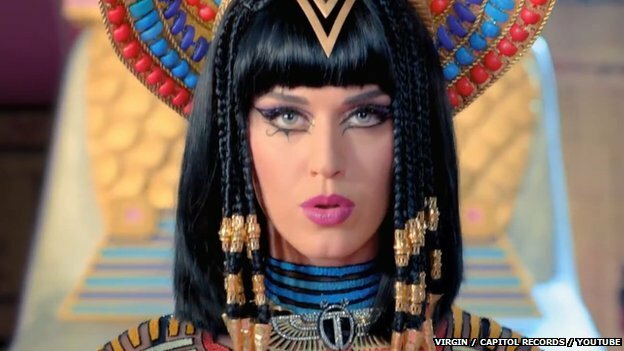 It seems like Katy Perry’s caused a bit of an ‘uproar’ with her latest video. According to some critics and angry Muslims, it said to have strongly represented an ‘anesthetist view’ by including distressing scenes of religious symbols being destroyed. After the video was showed on TV it then eventually came viral and an upcoming ‘internet sensation’ with a few hours. Shazad Iqbal, Bradford was one of the first few people to spot these ‘flaws’ within the video and instantly came up with the idea to form a petition since one complaint wasn’t be as effective for the Muslim community. Explaining his reasons for starting the petition, Mr Iqbal wrote: “At 01:15 into the video Dark Horse a man is shown being burned, whilst wearing a pendant (also burned) forming the word Allah”. More than 60,000 people have signed the petition, saying the clip is offensive, not to mention these comments are form all over US, Australia, Lebanon and Morocco. What’s your verdict for the ‘not-so-lovable-at-the-moment’ Katy Perry? Guilty? or Not Guilty?